Although technically this installment of our tutorial isn’t directly related to IRLib, we are including it here as part 3c because it may be necessary to do these steps if you want to use the example in part 3b of our tutorials. 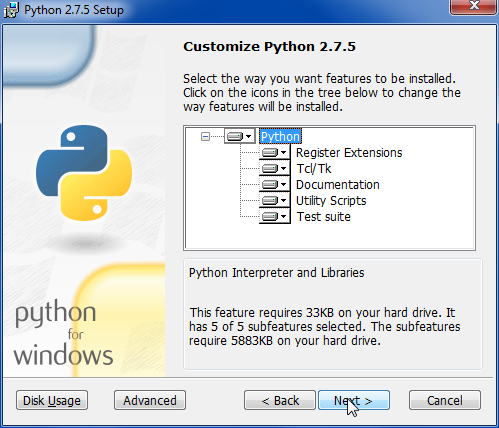 We’re going to take you step-by-step through installing Python and other necessary modules on a Windows system. 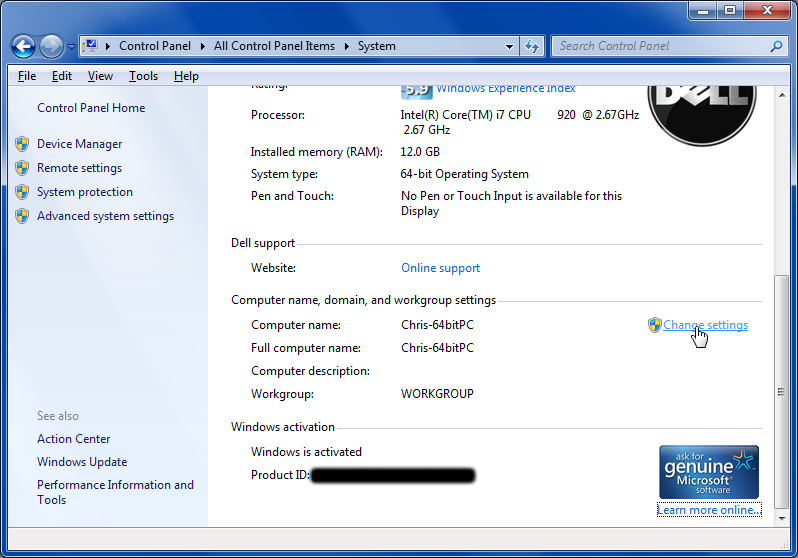 We used this method on a Windows 7 64-bit home premium PC. 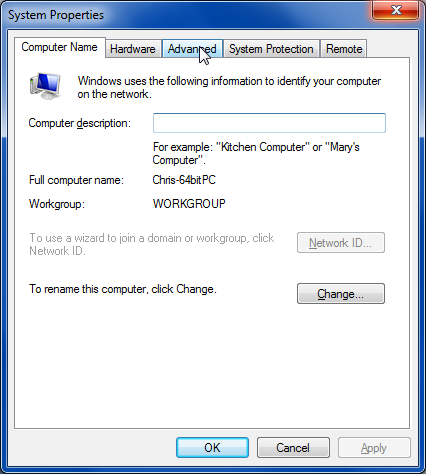 Other versions of Windows will have extremely similar installations. 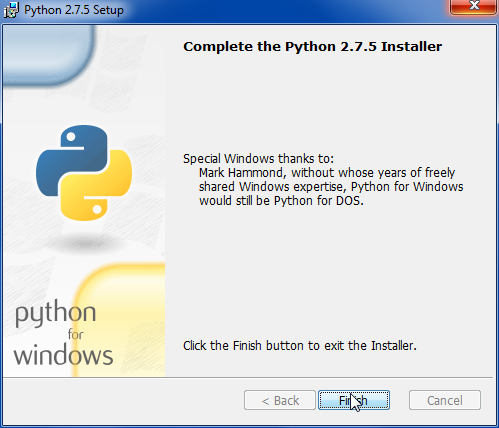 In order to use the previous examples, we highly recommend that you use Python 2 rather than Python 3 and we recommend that you use the 32-bit version even if you are on a 64-bit Windows machine. You might be able to get our examples to work under 64 bits or Python 3 but we were warned there might be problems and we did encounter them and chose not to try to come up with workarounds. 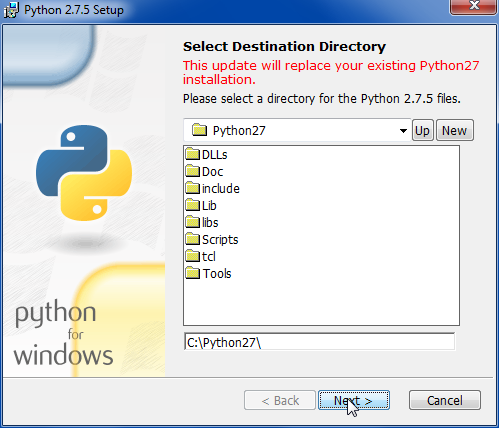 As of this writing the most recent version of Python 2 is 2.7.5 dated May 15, 2013. Download the file named “Windows x86 MSI Installer (2.7.5) (sig)” you can save the program and run it from the same location or run it immediately. Install the program for all users. Choose your directory. The default will work. The default for customization is install everything. That will work fine. 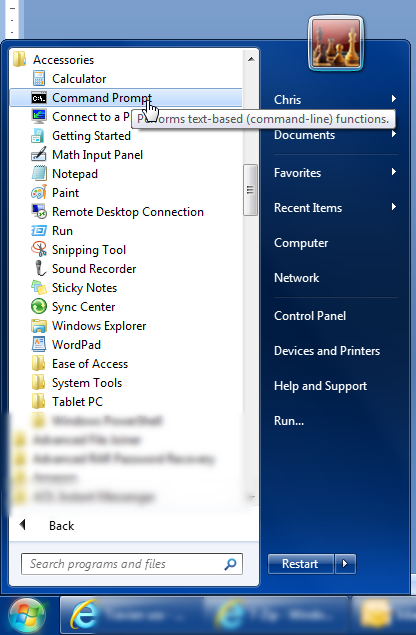 When you completed the installation the following items will be in your start menu. There is a command line version that can run scripts directly or there is an IDE called “IDLE”. In our previous installment of the tutorial we use the IDE. There is one more item we need to do to complete this installation. We need to add the Python interpreter to the default system path so that when you try to execute a Python script it will know where to find the interpreter. 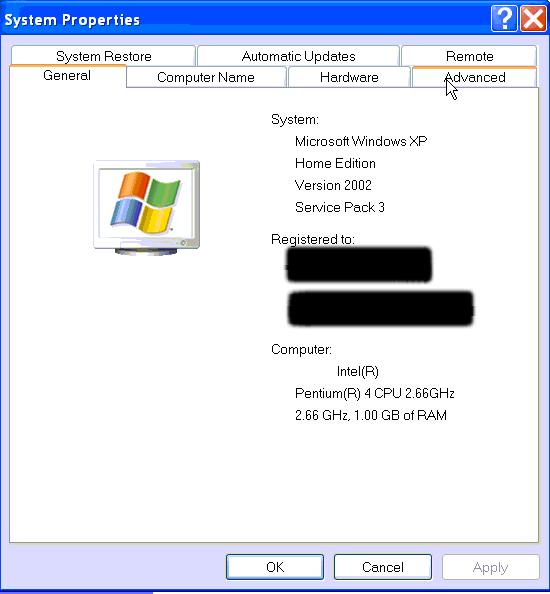 The process is slightly different on Windows XP versus Windows Vista, 7, or 8. 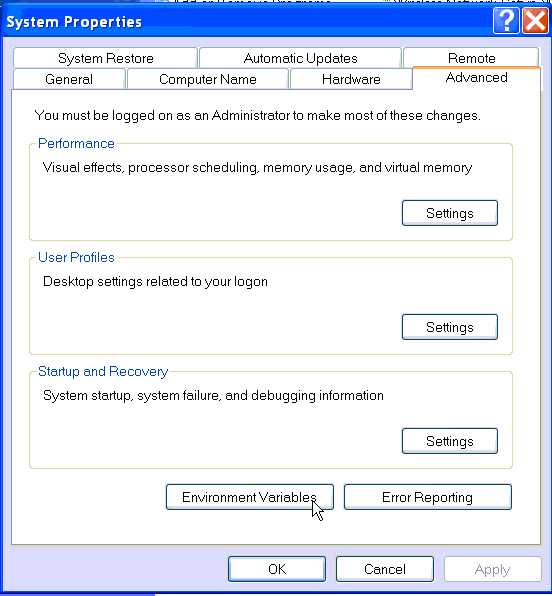 You will get a system properties dialog that looks like this. You should click on the “Advanced” tab. 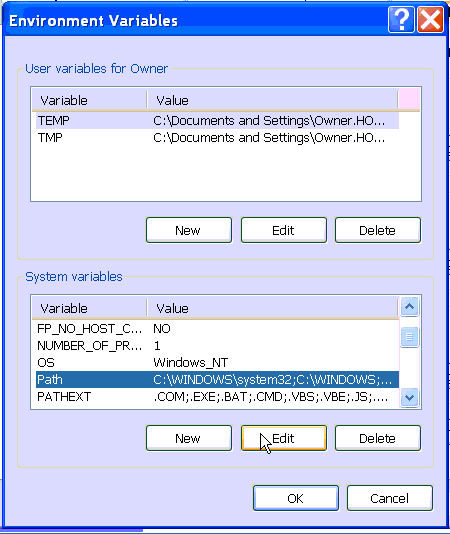 Next click on environment variables. 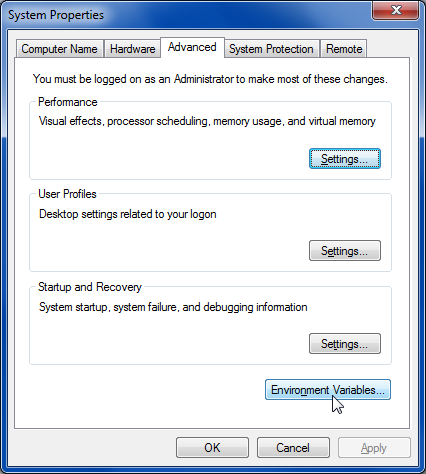 You’ll get the Environment Variables dialog which looks like this. In the upper section look for the item “Path”. Select it and click on “Edit” just below it. Then very carefully go to the end of the variable value and add a semicolon followed by the path where you installed Python. Make sure do not erase any other text that was previously there. On my system I added “;C:\Python22” to the end of the value. Then click on okay and continue out of all of the open dialogues. 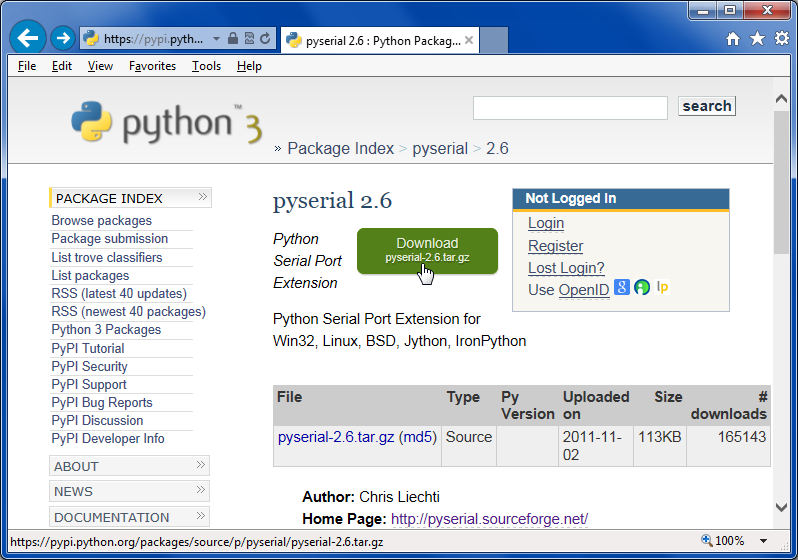 You can now proceed to the next section where we will install pySerial. Click on the “Environment Variables” button and you will see the following dialogue. In the lower section look for the item “Path”. Select it and click on “Edit” just below it. Then very carefully go to the end of the variable value and add a semicolon followed by the path where you installed Python. Make sure you do not erase any other text that was previously there. On my system I added “;C:\Python22” to the end of the value. Then click on okay and continue out of all of the open dialogues. 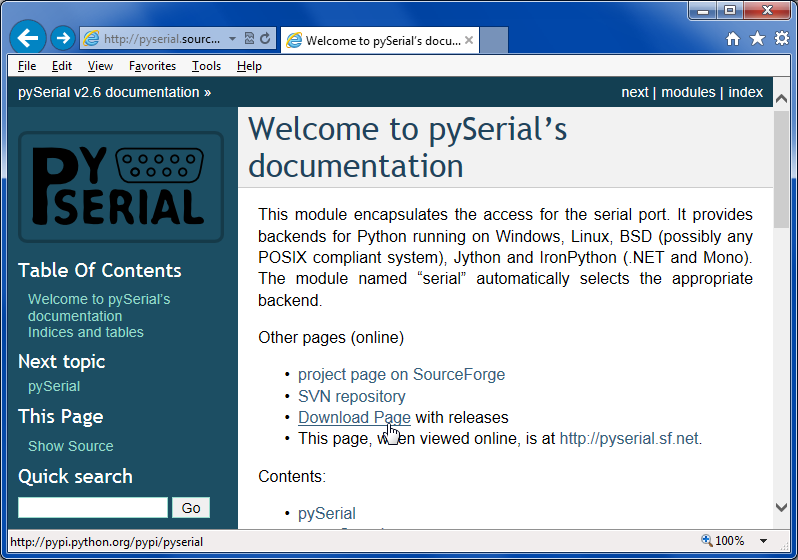 You can now proceed to the next section where we will install pySerial. At click on the big green download button. Save the file to a convenient location. 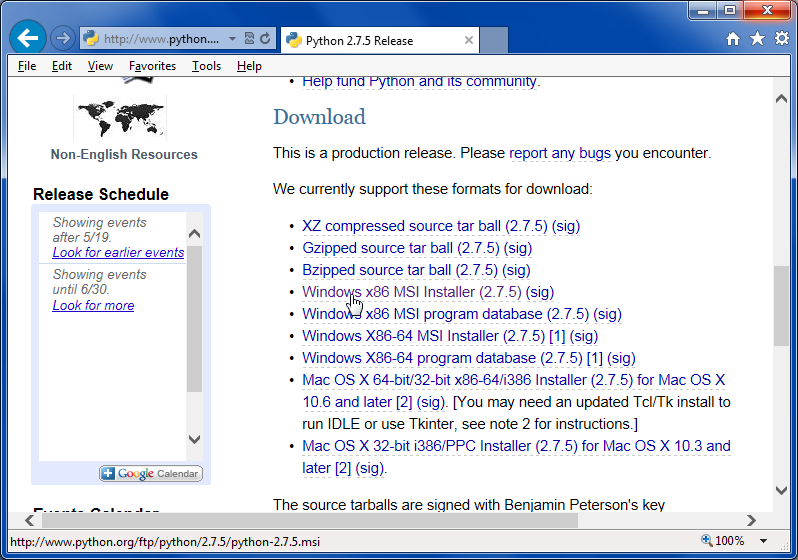 Note that the version “2.6” refers to the pySerial version and not to the version of Python which you are running. 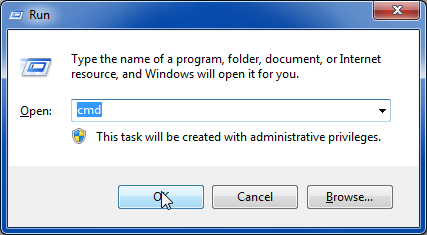 Now we will have to do something that Windows users rarely do. We need to type some command lines to install the package. Click on your start button and choose the “run” command and then type “cmd”. 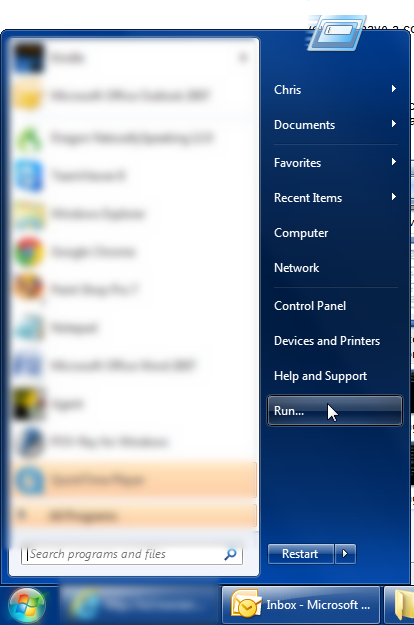 Or alternatively you may have a command prompt shortcut in your start menu under accessories as shown here. Or whatever the most recent 32-bit Windows installer link is. Simply run the installer and use all of the default settings to complete installation. 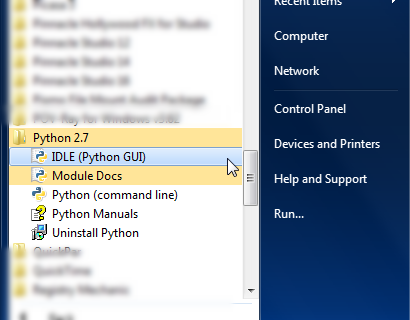 That’s everything you need to know to install Python, PySerial and Pygame on a Windows machine. This tells it to issue a superuser command to get the package and install it. In the next installment of this tutorial we will talk about how to install the Arduino IDE on a Raspberry Pi. 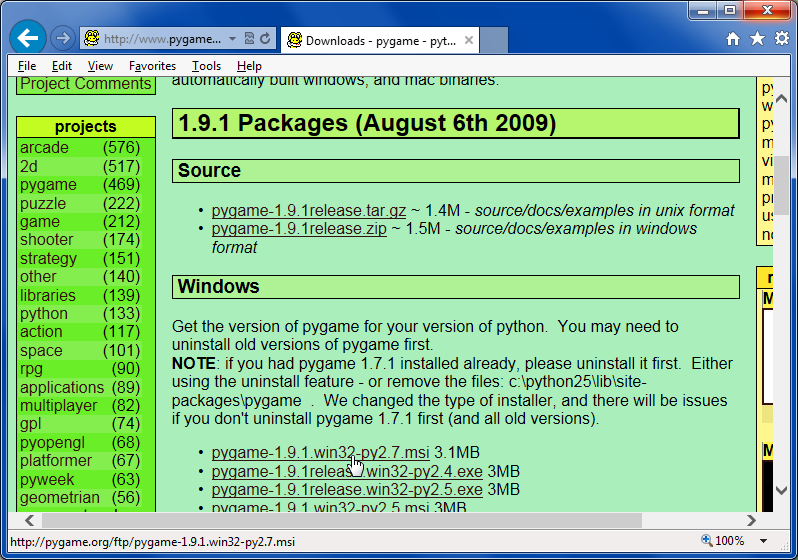 Many thanks for the “pygame” installation tutorial. However my attempts failed miserably until I noted a discrepancy between the Python 3.3.3 error message and the pygame init file. 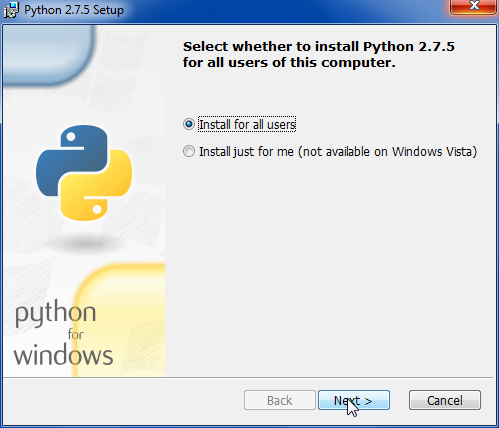 I am using Windows Vista 32bit on a legacy machine and am installing Python 3.3.3 and Pygame 1.9.2a0. “C:\Python33\lib\site_packages\pygame” and saw the file “__init__.py” was listed as “__init__” – no “.py” extension. I ran “import pygame” again and it works fine. Thank you for posting this comment about your installation issues with pygame. Although I did not encounter such problems myself perhaps some other readers may have encountered it. That blog is a little bit old and install scripts perhaps have changed or you may be using a different version than I was using. Again thanks for the helpful tip.